The port handled 280,000 tonnes of cement in 2018, up almost 11% year-on-year, amid record construction in Newcastle and strong growth in surrounding local government areas. Bulk fuel volumes continued to be strong, finishing the year at 1.77 million tonnes, slightly down from the record high of 1.86 million tonnes in 2017. Overall volumes are up 172% since 2013. Work on the $33 million Newcastle Bulk Terminal upgrade is well-advanced and due for completion in 2020. A four-year project to construct the new Mayfield 7 berth to allow larger vessels also recently reached a significant milestone with the first LR1 class tanker welcomed to Stolthaven's fuel terminal earlier this month. Bulk liquids and dry bulk commodities - such as cement, mineral concentrates, alumina and magnetite - are expected to continue growing given the port's investment program. 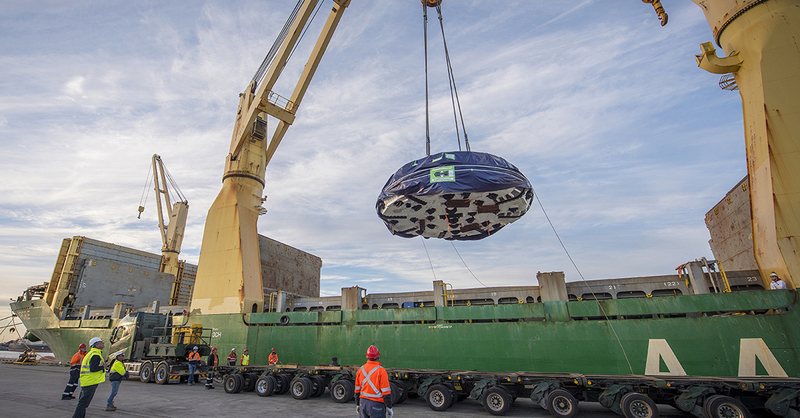 Newcastle is the only port on Australia's east coast with direct berth to rail line connections, which enabled significant deliveries of rolling stock for new passenger and freight trains being introduced across Sydney, Newcastle and regional NSW. Coal exports continued to be the major contributor to the port's trade volumes, dipping to 158 million tonnes in line with demand trends for Australian coal in international markets.